News: Recent Relevant Developments in the World of WordPress. Do not miss recent relevant developments in the world of WordPress. In this blog we write content quite frequently. Our readers are used to this and, even though we are a small team, we can achieve our editorial goals thanks to Nelio Content, our editorial plugin for WordPress. However, there is a task in our content generation process that is still dead boring and that Nelio Content does not solve: translating the contents from Spanish to English. As we live in a global environment, we want our content to be available in both languages to cover as many readers as possible. We usually write our contents in Spanish and then translate them into English. And this translation work is done manually. Or it was, because we’ve finally fixed the inefficiency of this process. Nowadays, translating texts by hand make us feel a bit like ancient humans. That is why we have fixed our process and now we are more efficient. With the release of the block editor for WordPress we have created Nelio Translate, a plugin that translates the content of the blocks automatically with the help of Google Translate. And today we are going to talk about it. Anyway, this solution became inefficient when the WordPress blocks editor appeared, because the process of copying and pasting in Gutenberg must be done block by block. That is, we can’t translate the content all at once. If you don’t believe me, give it a try and you will see that the pasted translation is broken, some blocks are missing, etc. This situation opened our eyes and made us try to find a solution to this problem. And that’s how Nelio Translate was born. 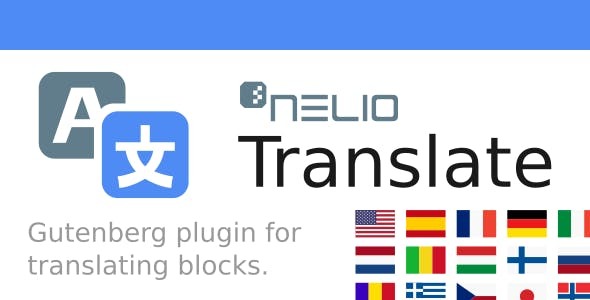 Nelio Translate is our plugin to translate the contents of the Gutenberg blocks in WordPress. First, you’ll need to install our plugin in your site. Get it here and install it on your WordPress as you would do with any other plugin. When you want to translate a block in Gutenberg, you just have to select it and access the translation section in the right panel (where the block options are). There, select the source language (optional) and the target language and click on the translation button. This will translate the contents of the block. Nelio Translate includes an additional option in your blocks that allows their translation, creating a new block with the translated content or replacing the original block with the translation. In Nelio Translate’s settings screen (placed in the Settings menu of your WordPress) you can decide whether to duplicate the original block with the translated content (appended next to the original block) or replace the original block with the translation. Another thing you should know is Nelio Content needs an API Key for Google Translate. Getting your API Key is not complicated if you follow the steps I explained in a previous post. And if you think we should make Nelio Translate compatible with other translation systems besides Google Translate, let me know by commenting down below. Nelio Translate is compatible with the set of blocks that are included by default in the Gutenberg block editor in WordPress. If you use additional blocks, you can extend the plugin with your own code to make those blocks translatable, or contact us to discuss their inclusion in the translation process (something that shouldn’t be very difficult if the blocks were properly implemented by their developers). On the other hand, if you want to translate the entire document at once instead of going block by block, you can also do it with Nelio Translate. In the block editor you will see the translation icon to the right of the publish button. Open that section and you’ll see the button that translates the whole document. Click on it and all the blocks that appear in your editor will be translated at the same time. This is the process we now follow to translate our posts into English. Nelio Translate allows to translate all the blocks of the editor at once. This way, if you want to translate all the post you don’t have to do it block by block manually. With Nelio Translate, our efficiency in generating content in more than one language has increased dramatically. 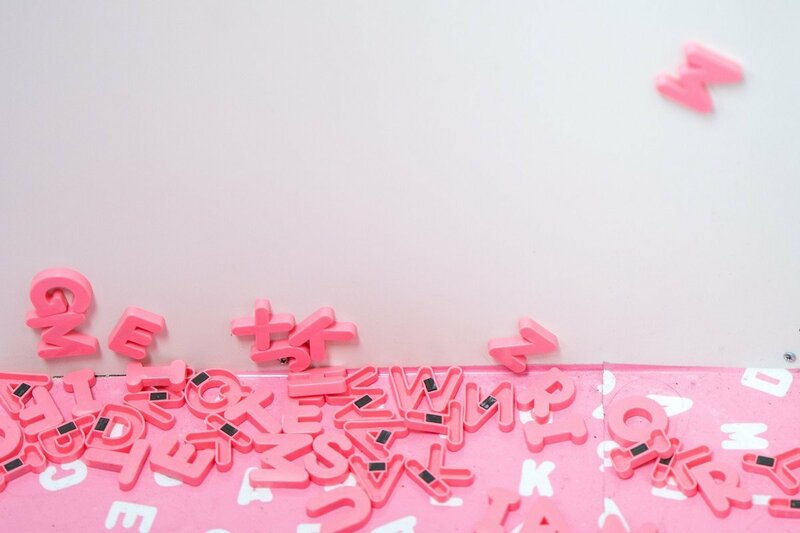 Knowing that with just one click you have all the content translated and that the only thing you have to do is fix the small errors in the translation is a luxury for WordPress writers using Gutenberg. I encourage you to try Nelio Translate, because if you are in a situation similar to ours where you have to translate content regularly, the time that you are going to save thanks to not having to go copying and pasting contents from here to there justifies its acquisition. Featured image by Jason Leung on Unsplash. As you know if you are a regular reader of this blog, we always recommend knowing the latest trends in design and development of WordPress. And that’s why we already told you all you need to know about Gutenberg (the new WordPress editor) or the 9 best block plugins with which you can create better designs for your pages and posts. And to reward and give visibility to those who are already working with Gutenberg, Automattic, the company founded by Matt Mullenweg, creator of WordPress, held the first edition of the Automattic Design Awards in 2018. I think you’ll like to know a little more about who the winners and finalists were, including any curiosity related to the prize. So let’s get to it. We wanted to show how design is thriving in the open-source web, from elegant front-end design to robust tools for creativity. As a prize, Automattic gave each winner a trophy designed by the design studio Nervous System. 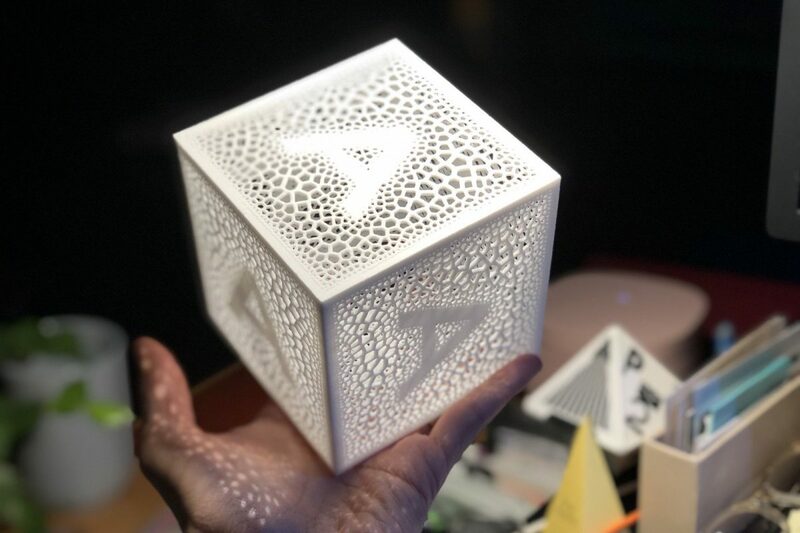 And it consisted of an intricate, filigree cube where the Automattic logo emerges from a cellular structure on each side. 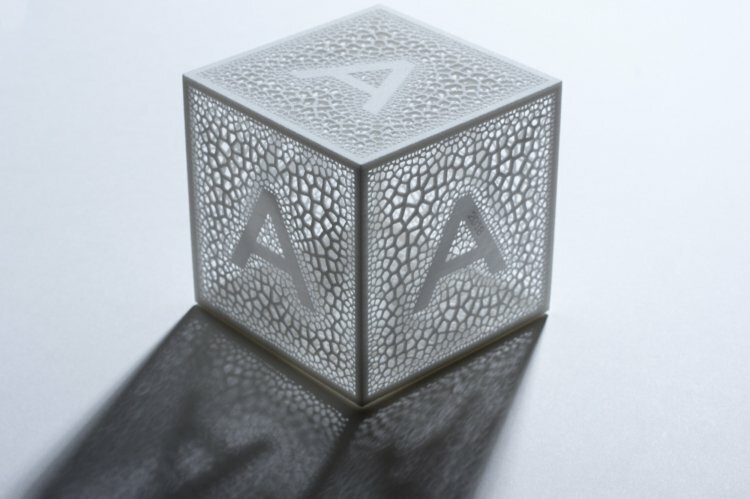 The trophies were printed in 3D using Selective Laser Sintering in white nylon. The structure was developed with Corollaria software. Inspired by biological systems, Corollaria plays with adaptive patterns that respond to environmental conditions. You can read more about the algorithmic techniques used in this Corollaria blog post. And the following video shows you the process of generating the trophy. Trophy generation of the Automattic Design Award. Automattic Design Award Trophy 2018. Jeffrey Zeldman, A List Apart. Let’s see now who were the winners and finalists in each category. In the category of Best Site, awards are given to websites that offer well thought-out, easy to use, and visually appealing experiences. And the winner in the Best Site category was Kit designed by Peter van Grieken. The jury unanimously considered this website to be the winner: its vivid colors and general appearance are very nice. A team of 2 people made an integration of 7 websites into one without losing sight of what they wanted to get from the audience. The whole site is designed and developed in Gutenberg. I recommend you to take a look at it, as you will surely like it. 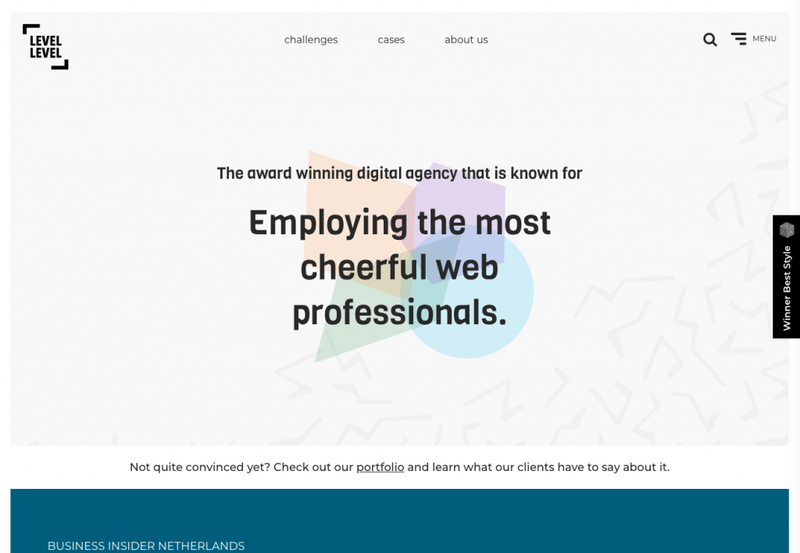 Website of a WordPress agency with a clean and neat design. A calm design that fits the topic of the site: poetry. Blocks available in the Block Gallery plugin. This plugin was also one of the plugins we talked about in the previous post. It offers you 11 additional blocks to the ones you find in Gutenberg by default like buttons, testimonials, etc. Create-guten-block is a dev-toolkit with zero configuration (#0CJS) to develop Gutenberg blocks in a matter of minutes without having to configure multiple tools and development environments. Finally, in the category of Best Style awards are given to sites that have a strong aesthetic form and at the same time are completely functional. Sites that are accessible, attractive, and fast are rewarded. The winner in the Best Style category was Level Level, by Taeke Reijenga. The same one that had been a finalist in the category of Best Site. The Level team presented a Gutenberg site with some videos in which they explained how it works. As a company specializing in accessibility, all the tests that were carried out to evaluate this aspect had a maximum score. As in the Best Site category, this French editor, which has been offering Chinese and Japanese poetry to an international audience for more than 30 years, was a finalist in this category due to its accessibility. 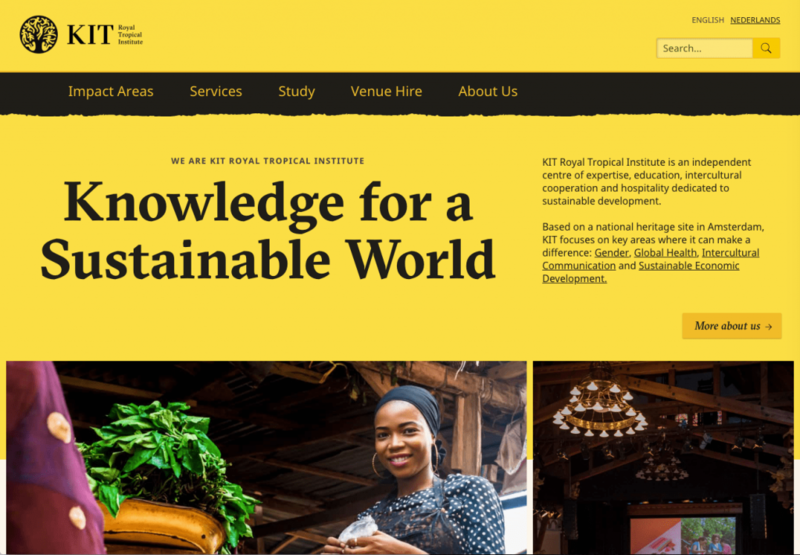 The website was created before Gutenberg was complete but its design serves as an inspiration to explore the potential of different development tools. And now all we have to do is congratulate all the prize finalists and winners. We know that all of them showed their enthusiasm with the prize received in the social networks 🤗. Suuuuuuper proud that I get to work on a site like https://t.co/kns3o2l5Vy with all of these talented people (@petervangrieken, @StephanCsikos, @DebDeDeb and the team behind @100KIT)! 😇 It's an absolute honor to be an #AutomatticDesignAward Finalist. 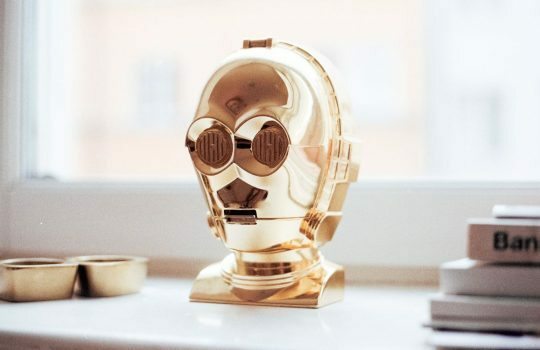 Wasn't there at #WCUS— I hear every finalist is getting this dope award trophy. Waiting to receive mine. Featured image by John Maeda on Twitter. I’d like to share with you a little about our participation and impressions. Organizing a WordCamp, like any other event, involves a lot of work—finding a venue and a catering service, deciding the length of the WordCamp, creating the event website and the call for speakers, for volunteers and for sponsors, selecting and scheduling presentations, allocating sponsors in the venue, promoting the event, etc. Luckily, all these tasks are split among the different members of the organizing team. And this year we were part of that team! Nelio managed all speakers and their presentations, taking into account that the WordCamp would be of two days length and each day with two session-tracks in parallel. Screenshot of some of the reviewed presentations. Most of them were in Spanish but some of them were in English. Although this task is only a small portion of what a WordCamp implies, any contribution to the organization is very welcome to ensure the success of the event. Being a speaker in a WordCamp is a great opportunity for your services to gain visibility and for networking. If you’ve never done one, I strongly suggest you give it a try—submit your proposal in the next WordCamp and get involved! 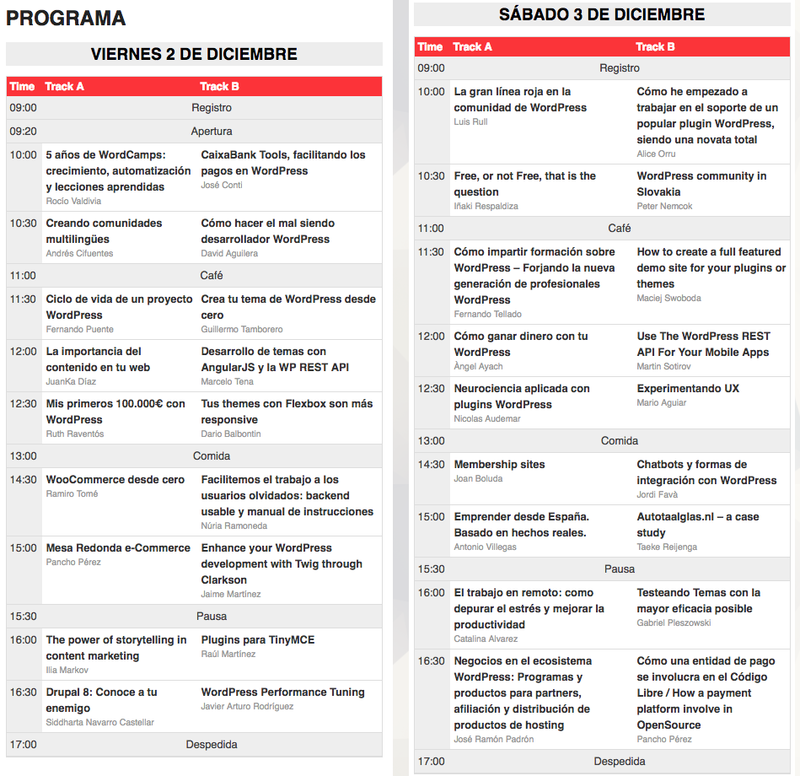 This year not only did we help with the organization of the event, but we also participated as speakers—Toni, David, and I submitted our proposals and were given the chance to share our knowledge with the Spanish community. What topics did we cover? We talked about business, entrepreneurship, and coding tips and tricks, of course! 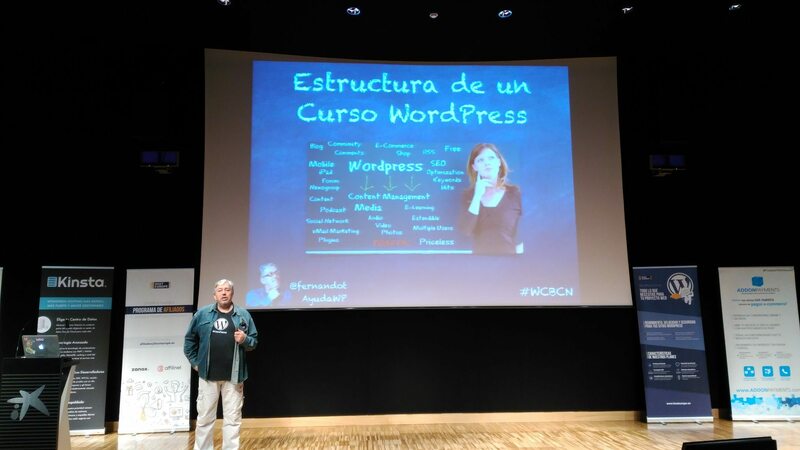 Toni had already participated as a speaker in several WordCamps here in Spain—WordCamp of Cantabria 2015, WordPress Day Euskadi 2015, and WordCamp Barcelona 2015, among others. All his talks had been from a developer perspective, so he decided he wanted to do something different this time. In his presentation “To Undertake from Spain. 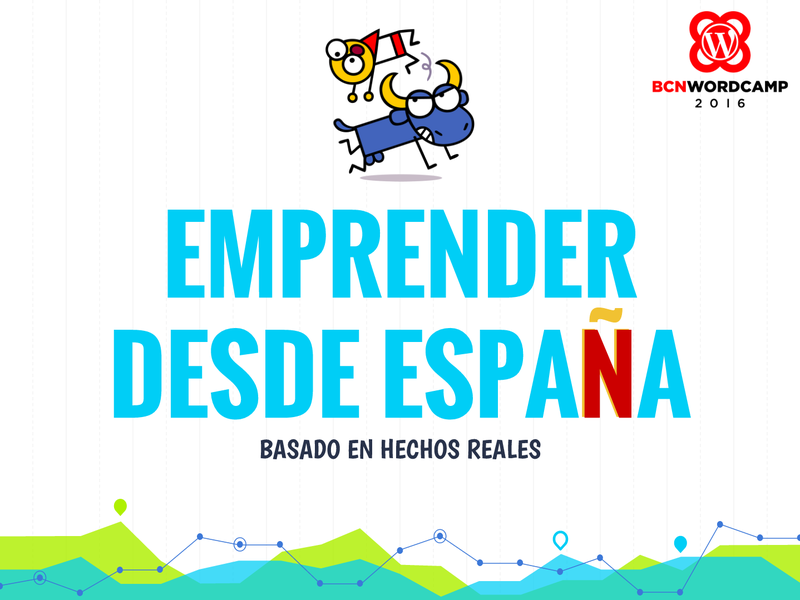 Based on Real Facts.“, he had the chance to cover all the complexities of starting a new business in Spain. Not only was it interesting, but also quite funny! 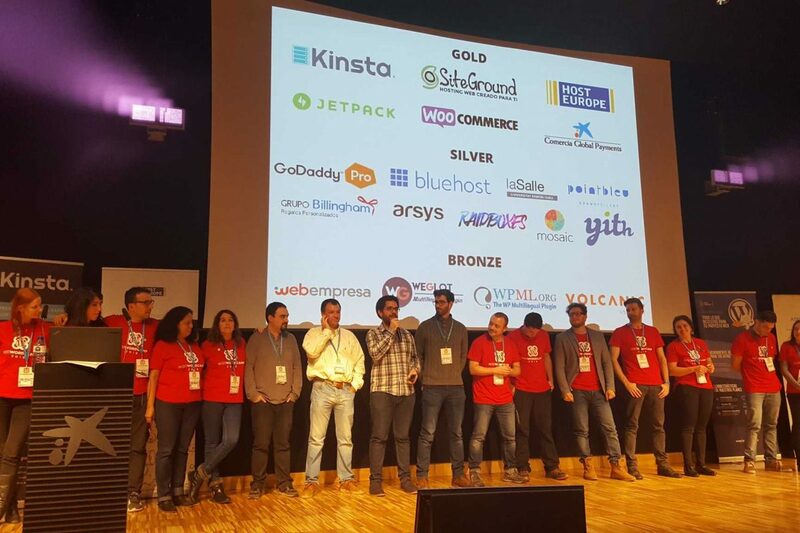 Antonio Villegas presented To Undertake from Spain (in Spanish) at the WordCamp Barcelona 2016. 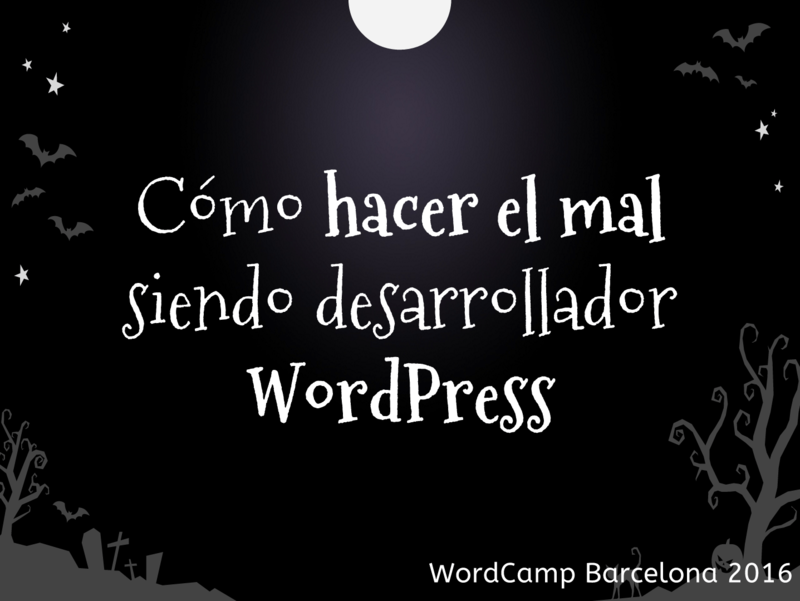 David, who also has some experience as a speaker (WordCamp Barcelona 2015 and WordCamp Europe 2015), he wanted to surprise the audience with an ironic presentation—he taught the audience how to How to do Evil Being a WordPress Developer. In this presentation, he showed all the bad practices that he encountered during his career and encourage everyone in the room to follow them too! In my case, I wanted to share our experience of developing WordPress plugins and making a real business out of them. 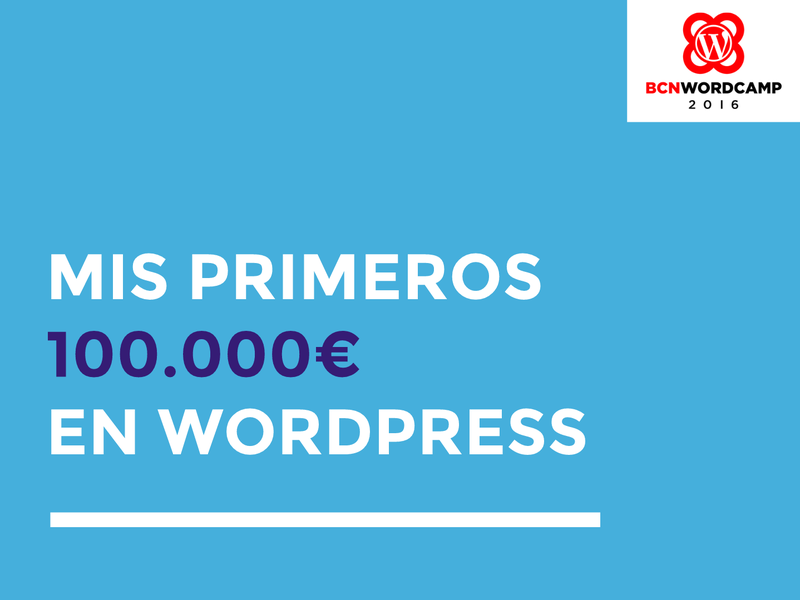 Of course, I decided to use a hook bite… “My First 100.000€ in WordPress“—what do you think about it? Barcelona is a wonderful, very appealing city. You do notice we’re from here, don’t you? 😏 And this year, the event was held at the CosmoCaixa Barcelona, a building with a very spectacular Science Museum. 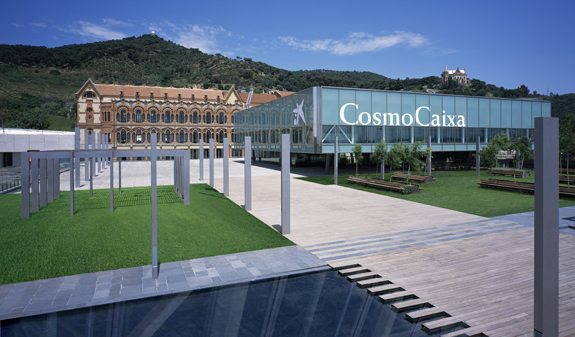 In my opinion, one of the most interesting attractions available at CosmoCaixa is its forest. Yes! You read that right—CosmoCaixa has reproduced a small area of the Amazon Rainforest, with the animals and plants that live in the flooded forest, including a great variety of trees, plants, and animal species. 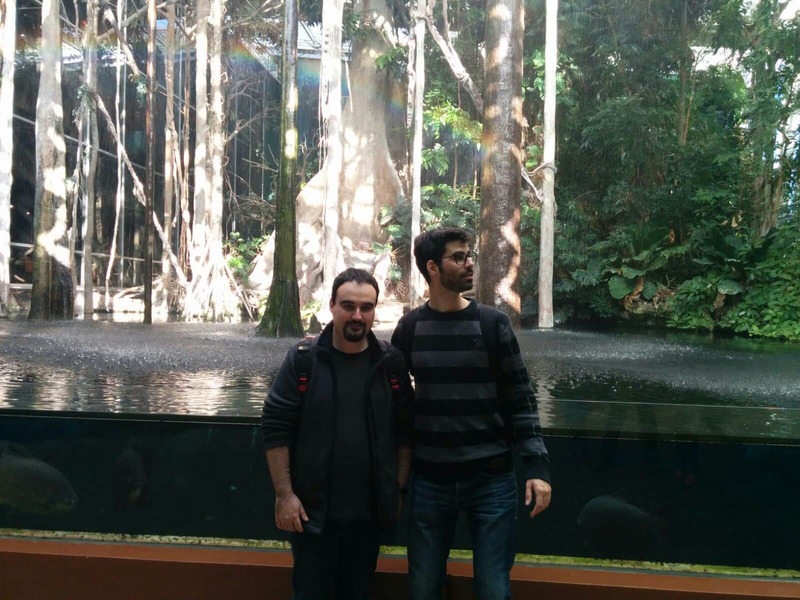 Some of the species that I came across in the Flooded Forest of CosmoCaixa Barcelona. There was a great variety of presentations and a round table—some were great and some not-that-great (had I simply raised my expectations too much? Who knows! ), but the overall experience was fantastic. In addition to my partners’ presentations, I’d like to specially highlight the e-Commerce round table and Fernando‘s presentation. 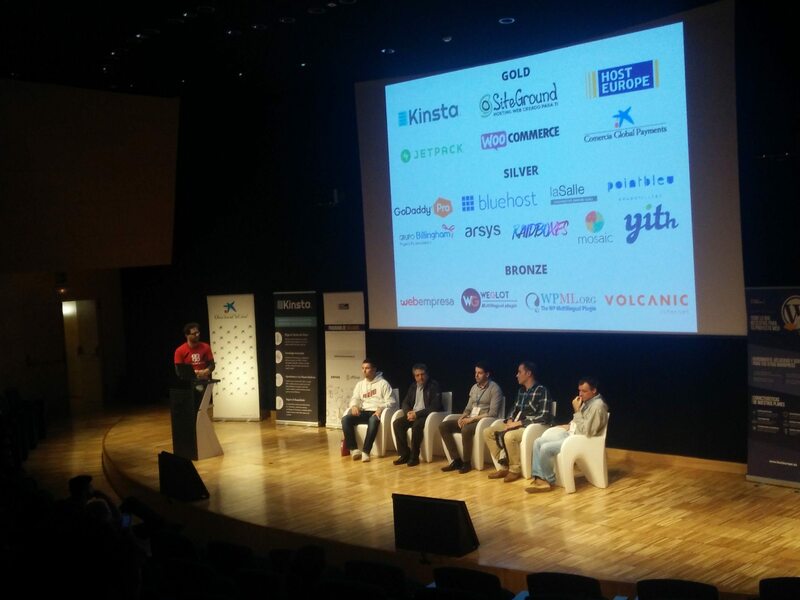 Round Table on e-Commerce platforms or plugins was moderated by Pancho Pérez and held by Armando Salvador, José Manuel Raya, Antoni Aloy, and José Conti, who discussed about Prestashop, Magento, WooCommerce, and SalesForce. We were promised some blood 💪, but it was actually a very polite discussion. I was particularly struck by the fact that José Conti mentioned that you should not confuse a WooCommerce with an ERP and that not everything is good for anything. When talking about really big companies, sometimes an ERP is the solution needed to meet their requirements. And all of the presenters agreed that it was not necessary to reinvent the wheel and customize everything. Before you implement something, make sure it does not already exist. 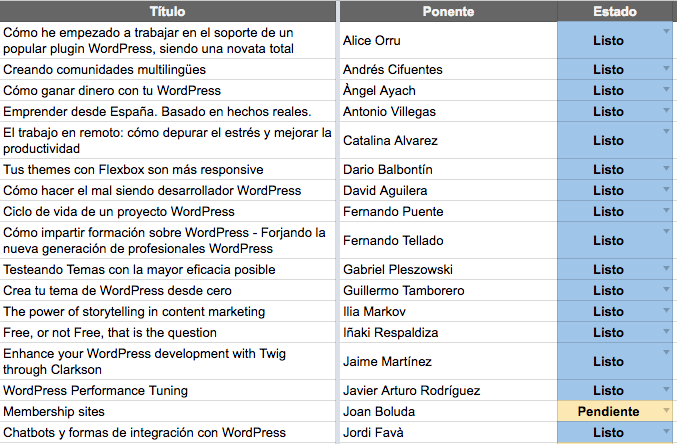 How to impart training on WordPress—Forging the new generation of WordPress professionals from Fernando Tellado. Fernando has a great experience in training and in presentations in public . He made clear that there is no official certification or diploma in WordPress, so do not be fooled! He also detailed the important points that any training in WordPress should have, including content management, themes, and plugins, as well as some advanced details such as security, custom post types, or WooCommerce, among others. Interested in his views? You’ll find his presentation in SlideShare. As I said before, there were other presentation that I also liked a lot and others that I couldn’t attend because I don’t have the capacity of bilocation. But on the whole we were delighted with the experience. One of the most interesting topics of a WordCamp, which perhaps does not have so much visualization a priori, is the opportunity to network. In the pauses and meals, we could talk and exchange ideas with other speakers and assistants. Something very enriching. Additionally, we were able to go to the dinner prepared for all the speakers on Friday, which is another opportunity to share experiences. On Saturday night there was another batch of drinks and, of course, on Sunday there was Contributor Day. I couldn’t go, but those who went (David and Toni) told me it was great too! I am pleased to have had the opportunity to chat with great references in WordPress Spain Joan Artés, Dario Balbotín, Rocio Valdivia, Fernando Tellado, Pancho Pérez, Jose Conti, Ibon Azkoitia and Luis Rull, among many others! And I would like to finish this post, thanking the entire organization, sponsors, and volunteers for the great effort they have put behind the organization of this WordCamp. A luxury! 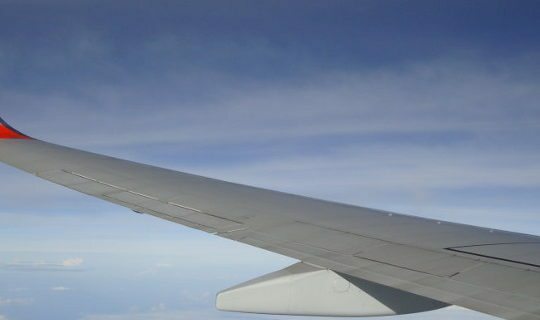 See you soon in the next one! Our mission is to help you to get a more effective website, so that you can engage more visitors, offer them a better experience, and, ultimately, increase your revenues. That’s why we created Nelio A/B Testing in late 2013. This week Nelio turns two years old! It seems like yesterday when we were celebrating its first anniversary… And what happened during the past 12 months? Well, a lot of things, actually! We’ve added support for new platforms, such as WooCommerce or ResponseTap. We’ve started to create awesome videos to share split testing ideas with our customers and teach them how they can be implemented with our plugin. We’ve redefined the Free Trial, so that any user can try out Nelio A/B Testing without requiring any payment details. Thanks to your feedback and ideas, we’ve also improved our plugin and we’ve made it faster and more reliable. This year we have a biggest goal: we want to make sure that you’ll split test your website during 2016. How? Well, just subscribe to one year of Nelio A/B Testing for $149 only and discover how easy it is to boost your WordPress site! Nelio A/B Testing is the most advanced split testing tool for WordPress. Nelio goes far beyond simple HTML modifications and gives you full control over your tests. For example, if you’re a publisher and you’re focused on writing content, you’re clearly interested in your customers reading your posts, right? Nelio’s Headline Testing makes it super easy. You simply need to define alternative titles, featured images, and/or excerpts, and Nelio will take care of the rest! If you’re a publisher, you know how difficult it is to engage your readers. 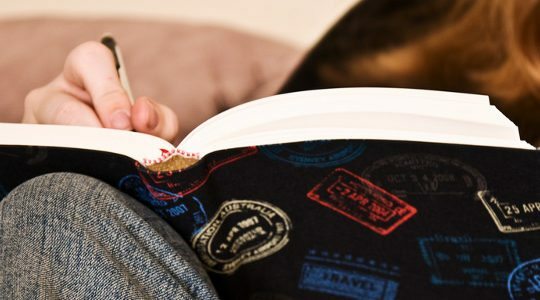 With Headline tests, you can try alternative titles, featured images, and excerpts, and determine which one gets more readers to the post itself to read it. Alternative headlines will be visible all over your site. Each time a headline is seen, Nelio computes that view. And if a visitor clicks on the headline to further read the post, it tracks the conversion. WordPress is one of the most powerful tools for editing and publishing web content. 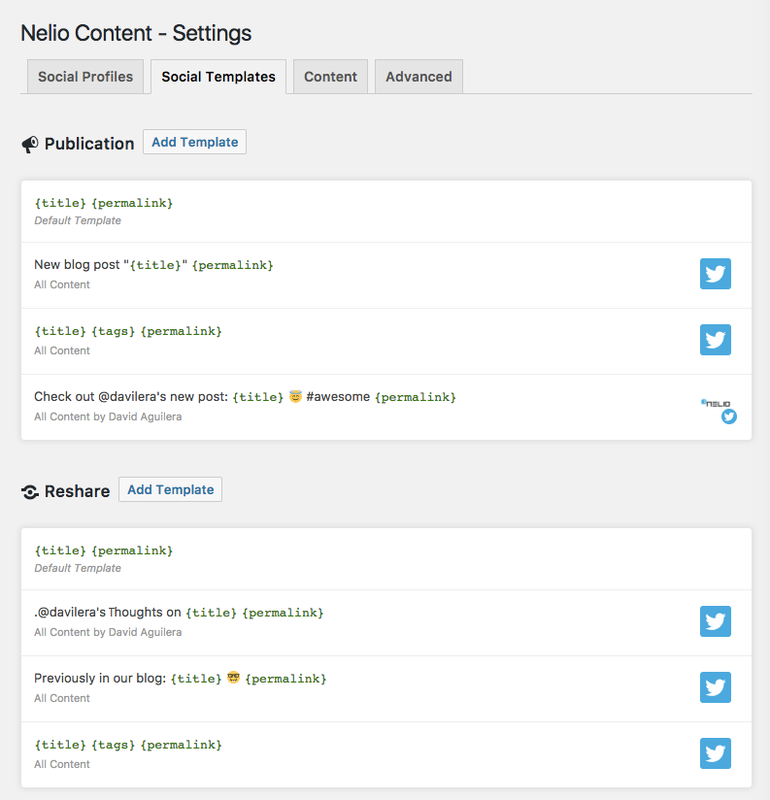 I’m sure you already know this; otherwise, you wouldn’t be using WordPress 😉 Nelio A/B Testing takes advantage of all this power instead of reinventing the wheel—whenever you’re about to create alternative versions of your pages, widgets, or menus, Nelio will use WordPress‘ built-in editor. No need to learn yet another tool! 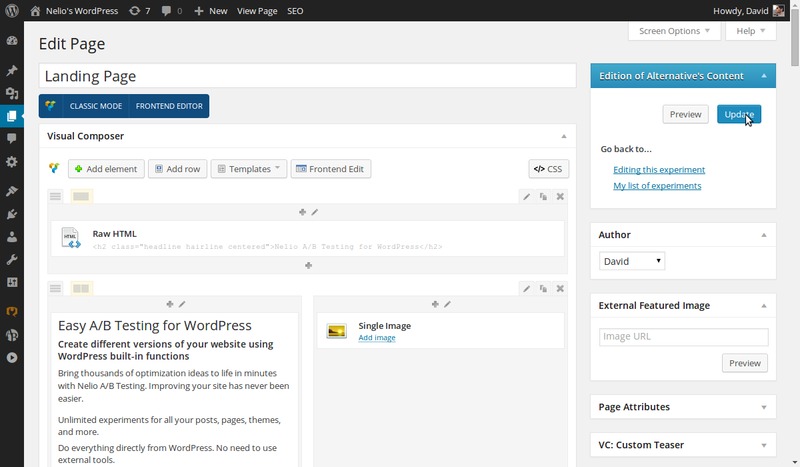 And if you use other editors within WordPress, they’ll also be available for you. With Nelio A/B Testing, editing alternatives is as easy as editing an original page. There’s no need to learn complicated tools or touch HTML code: use your regular editor! If you’ve ever used Google Analytics, you’ll probably know that the amount of information they offer is HUGE. In fact, a lot of people feel overwhelmed with it (sometimes, me included). 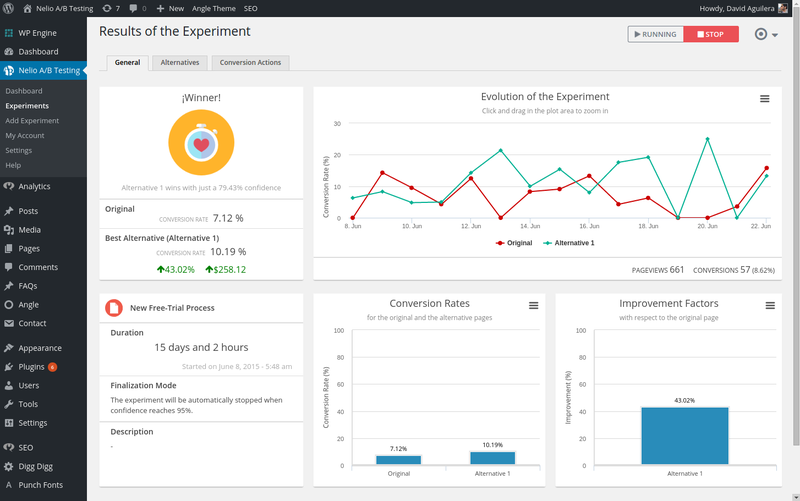 In Nelio we decided to follow a simpler approach with our tool—Nelio A/B Testing does one thing, and does it well. This screenshot shows the new results page, which is organized in three tabs. The General tab contains all the relevant information of your test, so that a quick glance can tell you everything you need. But don’t get me wrong here. Nelio is powerful enough to track the relevant events generated by your visitors. Page views, form submissions, click actions, or purchasing WooCommerce products are examples of what you can track. Split testing is not only about creating alternative content and discovering which one converts the best, it’s also about understanding your customers and business better. That’s why we included a pretty useful tool for understanding your customer’s behavior whilst they’re browsing your website—Heatmaps! 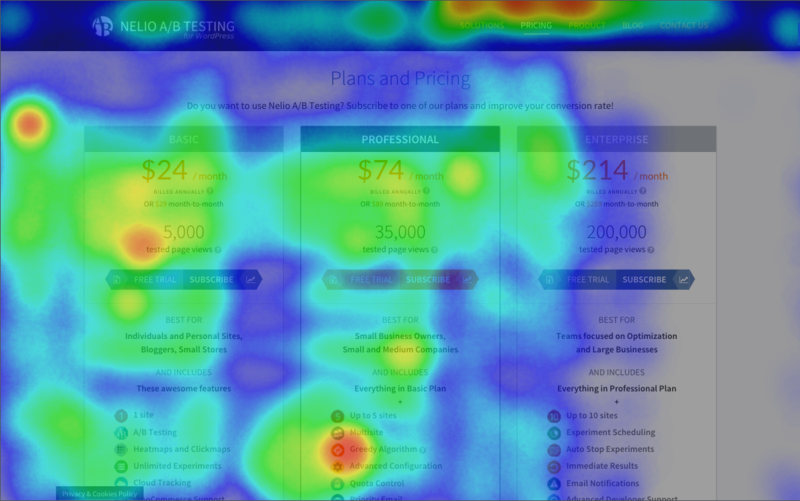 Heatmaps are one of the most powerful tools available to comprehend what users do in your website. Heatmaps teach us a lot of things and help us detect what our customers do and don’t do in our website. By using them along with our Split Tests, we’ll be able to detect banner blindness, which photos capture more attention, or bad design choices (such as the fact that users try to click something that looks like a button but it is not a button). There’s plenty of things you can do with Nelio A/B Testing. And there’s probably a lot of things you want to improve in your website. Why don’t you start today and get ready for 2016? Featured image by David Sundah. If you’re like me, I’m sure you don’t want to waste any more time on Twitter, Facebook, LinkedIn… promoting your content. Use Nelio Content instead and let it do the hard work for you! Take a look at it! You’ll have a whole year of Nelio A/B Testing with a 25% discount! Pretty cool, huh? Don’t waster any more time and subscribe today—the offer will only be available until January, 4th, 2014. Advanced support for publishers and bloggers with Headline Testing. We’re the first (and only) tool to support Widget Testing in WordPress. Support for Contact Form 7 and Gravity Forms. Several efficiency improvements, with advanced cache support. 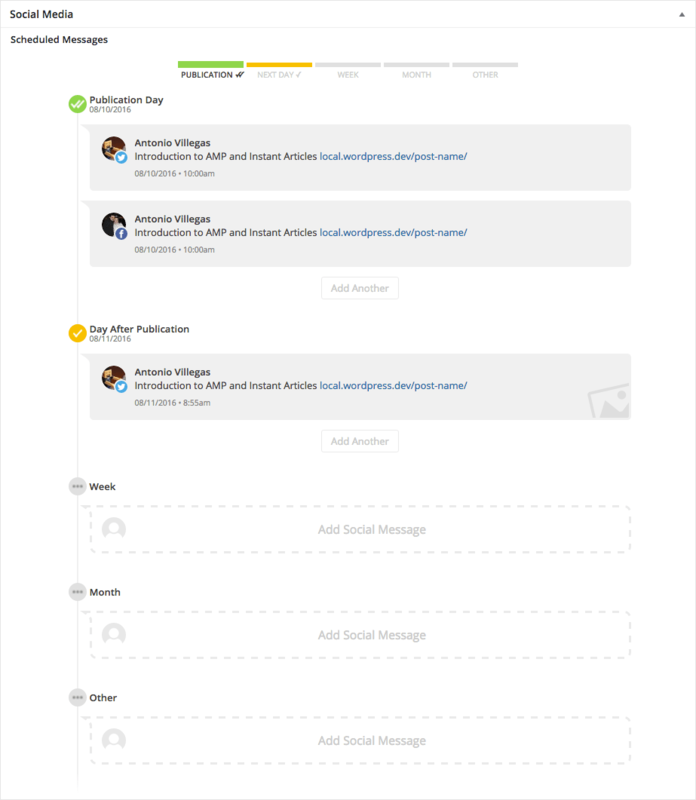 Improved User Interface and experiment automation. Increase the number of Nelio A/B Testing users. Improve our already-outstanding customer support. Implement new functionalities in our tool, such as, for instance, support for Custom Post Types. Are you a WordPress enthusiast? 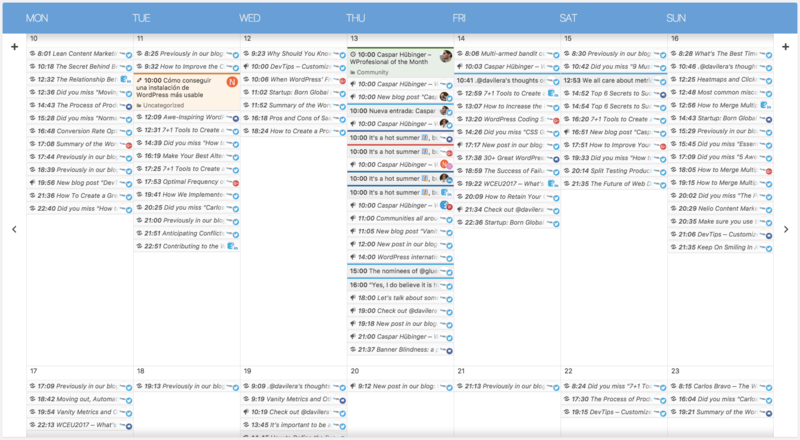 Whether you are a casual blogger or a professional editor, Nelio Content is the editorial calendar that makes your life easier. Take a look at it! Looking for a WordPress plugin? Tired of glancing through plenty of “Top 10 plugins for”-like posts without making up your mind yet? Not sure how you should pick the right one? Forget about functionalities (yes, this is an important aspect but the WordPress ecosystem is so huge that, no matter what you’re looking for, chances are you’ll find several plugins with almost equivalent features) or price (“cheap” is a very relative concept, specially if you value your time, a free plugin that wastes hours of your time will turn out to be quite expensive). Is the plugin under active development? No matter how good was the initial version of the plugin, at the pace WordPress changes, all plugins need to evolve continuously. An abandoned plugin may cause a lot of compatibility problems in your site. Check the “Latest update” and “Compatible up to” fields and the changelog tab of the plugin to see its latest changes. Even if the plugin author believes the plugin development is completed, updating these fields shows the author keeps monitoring the plugin (e.g. testing its compatibility with new WordPress releases). Is the plugin actively supported? You will have problems / questions with any plugin. 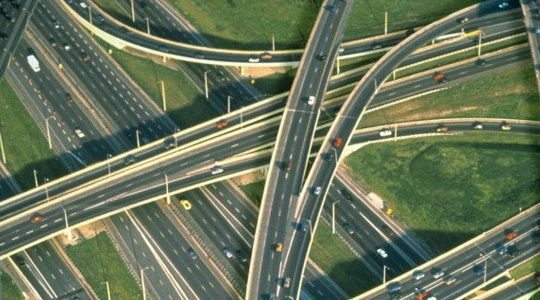 Even if the authors were very careful it’s impossible to account for all the different WordPress configurations that exist out there. Therefore, you should not waste your time in plugins for which no support is available (maybe only available for paying customers, but this goes again in the “cheap” category discussion above). First of all, if the author has abandoned the development of the plugin, it is likely she won’t be providing support either. The opposite is not necessarily true so head to the Support forum for the plugin and see if threads get responded (and if so, if questions are really answered/fixed and not just closed) and at least some of them by the plugin author (there is only so much other users can do to help you). Are other users happy with the plugin? A plugin may be in active development and quick support but if nobody likes it, it clearly indicates there’s something wrong with it despite all good efforts by its author/s. 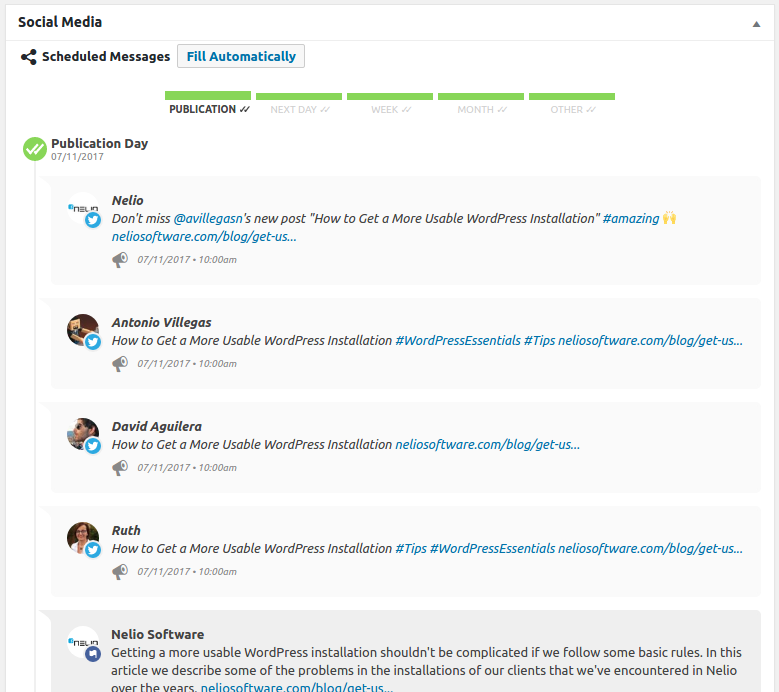 WordPress.org includes a reviewing system for each plugin so this is the most immediate feedback with respect to the quality of the plugin. Nevertheless, it’s important that you don’t just look at the average rate number. Read also the comments next to each review and check there are positive reviews beyond those from the plugin authors (that usually can’t help but vote for themselves, in the end, they do like their plugin :-)) And remember that until around one year ago it was still possible to leave anonymous reviews. This was used by quite a few authors to play with the system and get better ratings. I won’t give names but I’ve seen plugins where all the 5-star reviews were anonymous and all the 1-star ones were not (coincidence? mmmm I don’t think so). You may think this advice is too generic and won’t be useful to narrow down your options. Well, I beg to disagree! Let’s assume that you’re interested in a Split Testing plugin for WordPress, (I can already tell you that Nelio is the best option so the rest of the post is not a lame attempt to publicize ourselves in a more or less hidden way, I choose this area because due to my expertise in the area it works better as an example for the post). There are 23 split testing plugins in the WordPress repository. Let’s see how they match against my 3 previous rules: Only 5 of them claim to be compatible with WordPress 4.0 and almost half of the 23 have NOT been updated in more than one year. From the 12 at least updated once in the last year (to put the limit somewhere, I think it’s safe to say that you do NOT want a plugin abandoned for more than one year) only 5 have at least one “external” positive review. And from those 5, only 2 have also more than 50% of the support threads in the last months resolved. So even before looking at the functionalities or price of the split testing plugins we have been able to discard most of them based on “real” data. Try this method the next time you need to choose a plugin!